Thanks to the Johnson and Johnson Beauty and Baby Club you can now save by using this cool new app available now at the App Store and on Google Play! Click Here to get it! Get great beauty and baby tips delivered straight to your inbox, earn points to be redeemed online, enter monthly sweepstakes, get exclusive coupons, and receive bonus points when you sign up today! Imagine adding to the already amazing savings on all your favorite brands from Johnson and Johnson at your local Defense Commissary Agency on your local Military Installation for all your beauty and baby products you use at home. Everything from Aveeno beauty and baby products, Neutrogena beauty products, Johnson and Johnson Baby bath and lotion products to Destin all added into your already amazing savings at your local Military Defense Agency Commissary. You can look like a million dollars while your precious baby feels like a million bucks all without having to spend money as if you have a million bills to burn. 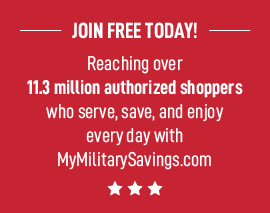 I was so excited to see this new app with all these great products that I can now SAVE even MORE MONEY on every single day at my local Defense Commissary Agency at my local Military Home Base! After all the holiday shopping and traveling, I really needed to find some added savings to help put some more money into our family’s budget and savings account. This really is going to help me do just that, all without me nor my family having to without any of our needed and / or favorite products! Can you feel my excitement about saving money and still providing my family with all their favorite brands from Johnson and Johnson available at our local Defense Commissary Agency! Click Here to join the Johnson & Johnson Beauty and Baby Club for FREE!